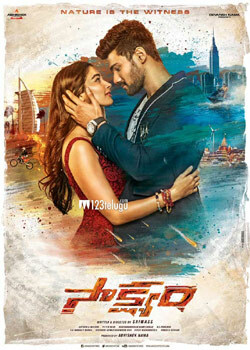 The makers of Saakshyam, starring Sai Sreenivas and Pooja Hegde, are leaving no stone unturned to make the film into a visual feast. Currently, the film is being shot in the US and Abhishek Nama, who is producing the film, stated that the film is going to be shot in New York, New Jersey and Grand Canyon. “We are going to explore some exotic locales in US which haven’t been shown before in Telugu films. It is going to be a visual feast,” he said. Recently, the team shot several scenes in New York, and after the shoot, the cast and crew took a day off to explore the two cities. While Pooja Hegde spent the day exploring New York, several members from the Telugu community ensured that the team felt at home during their visit. Directed by Sriwass, the action drama is set to release in May.